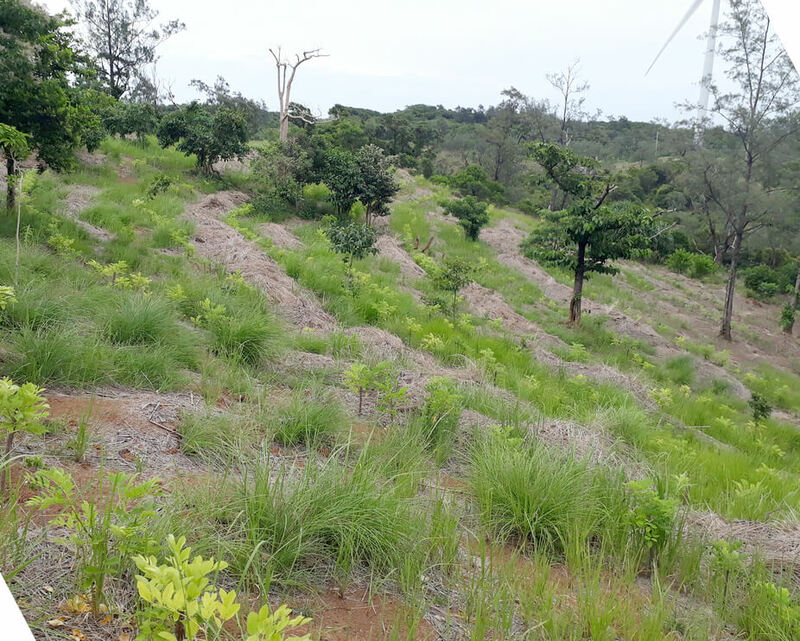 AC Energy and NLR’s agro-forestry project is gaining ground with the creation a 4.5-hectare model farm within NLR’s wind farm facility in Pagudpud, Ilocos Norte. A little over four months from kick-off, forest workers have already started growing fruit-bearing and forest tree seedlings inside the model farm. The start of the rainy season also made hole-digging for the root crops faster and softened the soil for the preparation of the ginger beds. A facility was also constructed for the production of mushrooms. Apart from the creation of the model farm, local farmers will also be taught farming techniques and methodologies pertaining to contour hedgerows, fruit orchards, and watersheds. The program which aims to utilize idle land, increase the livelihood of the local community, and to protect the surrounding areas will run for five years.